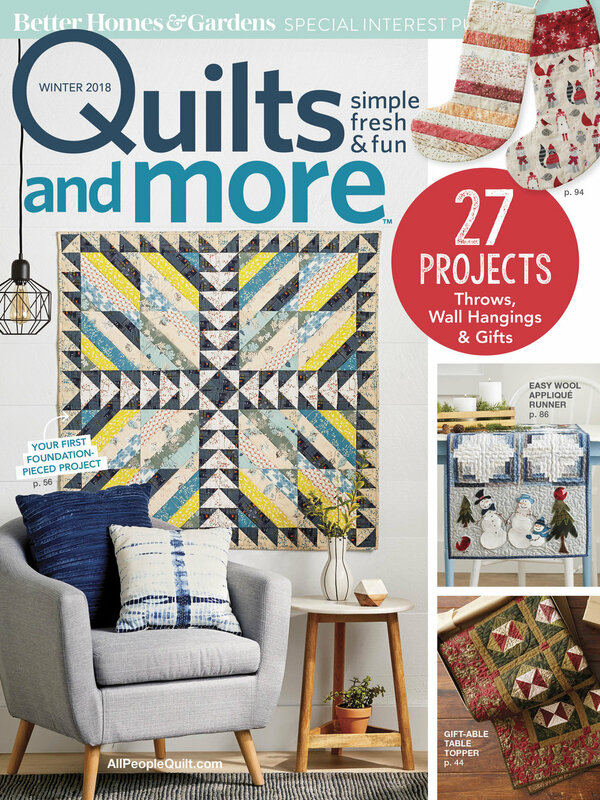 Quilt Market is a week and a half away! Most of the sample projects I planned to make for my booth are done. I will finish the last items this week and have a couple days to pack and double check the to-do lists before I head to Houston. These upcycled flip-flops are made over using Art Gallery Fabrics Oval Elements for the soles and Coastline canvas for the thongs. This is just one of the many sewn items that will be part of my booth at Market. Next week I will show you some more and also have a new free project to share with you! For a closer look at my newest Art Gallery Fabrics fabric collection, Coastline, I invite you to visit author June McCrary Jacobs on her writing and sewing blog. June interviews me about being a textile designer and my latest collection. Peek into the inspiration behind the prints for these fabrics and learn a little bit more about me and being a designer. June is an award-winning author who is also involved in sewing, quilting, and hand-embroidery. She has many talents and is also just a wonderful person. I am so pleased she asked to interview me for her blog. Don't forget to get your free AGF app! Now you can have everything AGF right at your finger tips and not miss a thing! 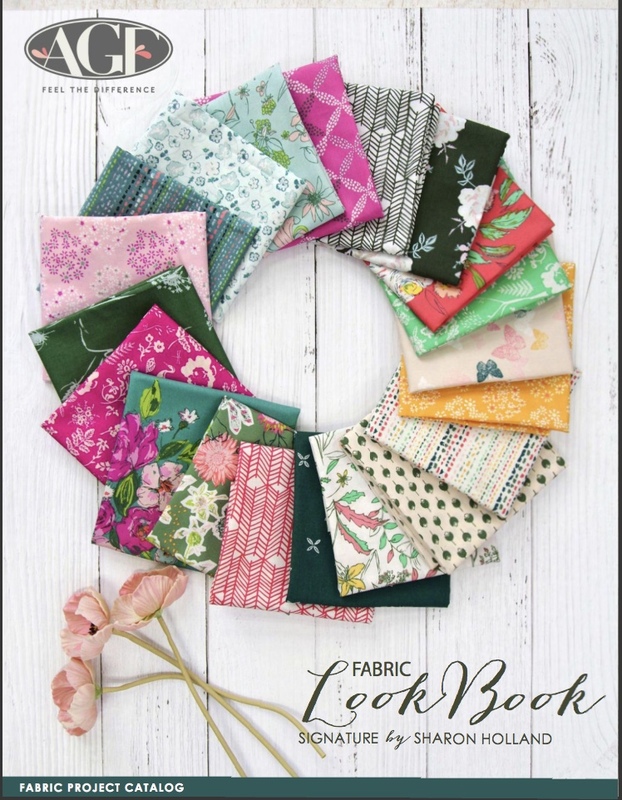 Following the Art Gallery Fabrics blog just got that much easier to keep track of free patterns, Quilt Market news, and the latest fabric collections. What I do for a living is a lot of fun but is also a constant reminder that I must be patient. Many hours of work goes on behind the scenes that I cannot blog about or share on social media. That's because I am either designing a new fabric collection to be released in 4-6 months or sewing up a new quilt or accessory pattern for sale or one that will be featured in a magazine. Well, my months of preparation and wait are over and the magazine projects will now start rolling in. First up is my Demilune quilt made with Gossamer fabrics, Pure Elements, and Squared Elements from Art Gallery Fabrics. 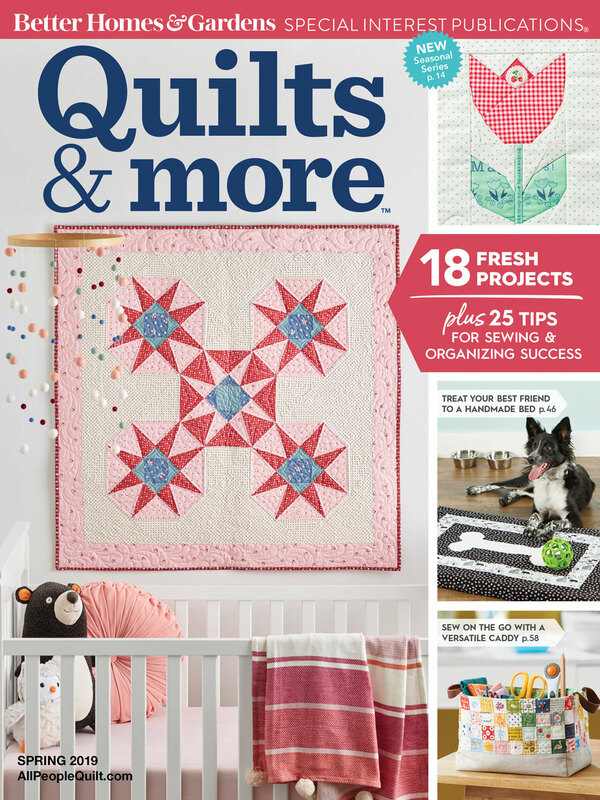 McCall's Quick Quilts October/November 2015 issue hit the newsstands this week and that's where you will find instructions for making this quilt. They even have digital versions of the magazines available here. Today I am guest blogging on the McCall's Quilting blog! You'll want to take a look at the cute pot holder/hot pad tutorial I put together using a template from the Demilune quilt and left-over fabrics. It's super easy to make and fun to use or give as a gift. But wait, there's more! 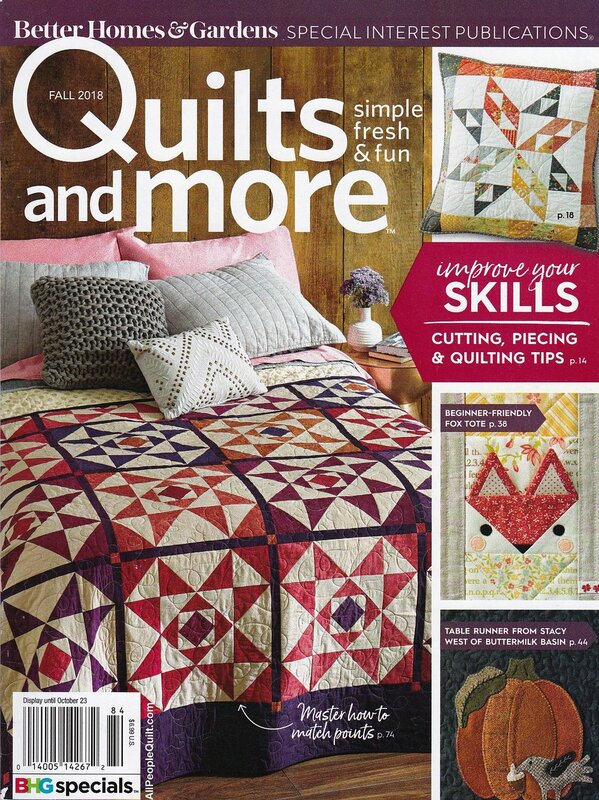 Be sure to visit the McCall's Quilting Blog for a chance to win some Gossamer fabric! See the McCall's blog post for full details. Today is the last day of the Sketchbook Blog Tour and Alexis Wright is posting today from My Sweet Sunshine Studio. Alexis has sewn the Rose dress from Violette Field Threads and I am in love with how it turned out! She used the cotton Tiny Dancer Midnight and Doodlie Meander prints. Doesn't her daughter look amazing? I love this cut on her--how perfect! See the My Sweet Sunshine Studio blog post to learn more about Alexis and this outfit. Thanks so much Alexis for being such a BIG part of the tour. I am looking forward to seeing you again at fall Quilt Market. Yesterday Jessica Stewart from Snickerdoodle Stew posted on the Sketchbook Blog Tour. If you missed out on any of the days or want to see the full list of bloggers, click here. Tomorrow I will post a full recap of the tour along with announcing the winner of the 10 yards of Sketchbook fabrics. Yup, that's right, you still have time to enter the drawing for the free fabric. Sign in to instagram and REPOST any of the Sketchbook blog tour images. Use the hashtag #SketchbookTourGiveaway in your repost and you're entered into the drawing! Drawing ends Saturday August, 22nd at 9:00 a.m. EDT. To wrap up my series on sewing with French seams I have one more project for you. This one doesn't use French seams but I feel fits the series because the construction method creates clean finishes to the edges without the use of hems (on the body of the bag). I took the common folded Market Bag construction and added a self-lined feature to the construction for a new twist on an old favorite. These are super fun to make! Download the free Market Bag PDF pattern from my Free Patterns page for the full instructions on how to make a bag. Large bags like these are great for for taking with you to the store or Farmer's Market. They would also make a great, reusable alternative to paper gift bags or gift wrap! Show off fun prints and make several to use and give. Last month Sketchbook, my second fabric collection with Art Gallery Fabrics, became available. It's so exciting for me to see all the lovely clothing and accessories being created with my prints! Show me more--be sure to tag your items with #Sketchbookfabrics when you post on social media so I can see and share your work. To keep the sharing going, next week I will be hosting a Sketchbook Blog Tour. Five talented makers have been sewing beautiful items to post on their blogs as part of the tour. From my blog, I'll be posting two new free projects along with a tutorial on how to sew French seams. It's gonna be a sewing-packed week you'll not want to miss! 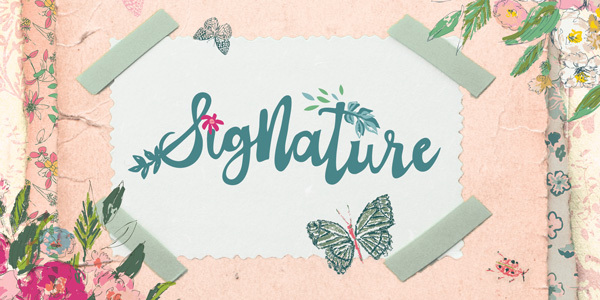 Yes, you read it right, there's another chance to win Sketchbook fabrics! As part of the blog tour I am giving away half-yard cuts of the entire Sketchbook collection. That's 10 total yards of fabric! You could win a 1/2 yard of each Sketchbook print - 10 yards total! The full details of how to enter the drawing will be posted Monday, August 17th on my Instagram feed. Follow sharonhollanddesigns on Instagram to learn more and enter. 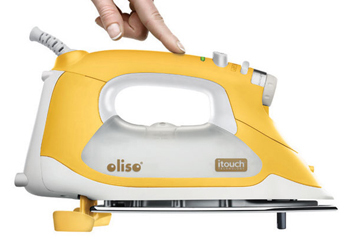 Get ready for an inspiring week of great ideas and beautiful sewing. I can't wait to see what those talented bloggers are going to posting!